Valentine’s Day is closing in fast. Instead of running to the store and grabbing up the last of the few cards sitting on the store racks, create your own cards by using your sewing machine. Combine paper, thread, fabric and your imagination into creating wonderful cards that are sure to be one-of-a-kind. Your special Valentine is sure to be impressed and will hold on to this cherished card far longer than the ordinary, mass-produced paper ones that everybody else received on this holiday. If you are looking for a few ideas to help you get started, here are some sewn Valentine’s day cards and envelopes to try out. Don’t worry if you are a beginner. Some of these projects are perfect for people who are just learning how to sew and for children who want to create something special for their parents on Valentine’s Day. The felt hearts card is just the perfect, simple project you can help the kids make when they want to pass out personalized cards this holiday. This project features felt hearts sewn onto regular card stock. Your child can choose from a range of different felt pieces and sizes for the hearts that she wants. Then all you have to do is arrange the hearts in the pattern on the card stock and use your sewing machine to attach the felt to the card. Voila! The perfect card that the kids will be excited to give to friends and other special people in their lives. There are just some kids who want to make cards on their own without too much help. 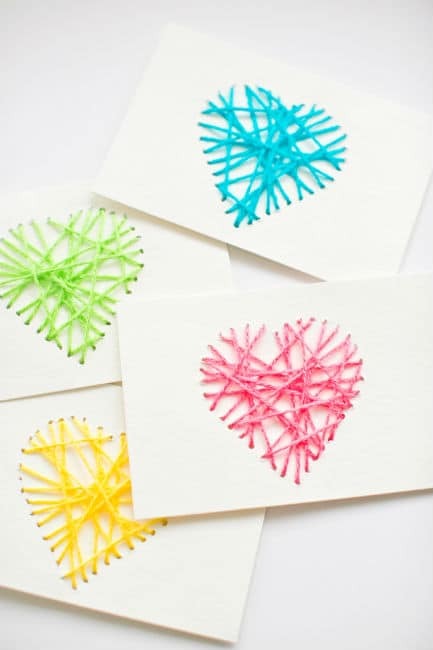 Since you can’t leave them alone with the sewing machine, you can let them make this yarn hearts card themselves. All your child has to do is place a heart-shaped cookie cutter on a piece of paper and trace out the heart shape. Then, with your help, poke holes into the card following the drawn line. Let your child push the yarn through the holes in any direction that they like in a crisscross design. They will create the perfect card and feel proud over what they accomplished. Cross stitching involves placing tiny stitches that are a crossed “x” shape to create wonderful designs. This cross stitched heart card is a simple design that is from the heart as it features a cross stitched heart balloon and some simple wording that tells a person just how you feel. You can create one heart balloon or several on the front of the cloth. This stitch design allows you to really play around and come up with other great ideas and designs that will please your Valentine’s Day sweetheart. Pair this card with some heart projects I’ve shared from this post and I’m sure you’ll make your Valentine feel loved. This card adds new dimension to Valentine’s Day card crafts. This beautiful paper heart flowers card has paper hearts sewn onto a page torn out of a book. Then the page is glued onto a regular stock card where you can write a message to your Valentine. Make sure the page you tear out isn’t from a book that you read anymore, and that your special someone isn’t a bibliophile who would get upset over the destruction of an old book. Otherwise, this is a great card for someone who loves handmade crafts and reading stories. Don’t just sew a Valentine’s Day card.Get really creative and sew the envelope as well. This simple and fun special card and envelope combo lets you make everything you need to give to your special someone on this February holiday. Just keep in mind that sewing a stamp won’t be accepted by the local postal service. There are tons of different cards you could sew to fit into this decorative envelope. So let your imagination and your sense of style select the right design. Don’t let the beauty of this card fool you into thinking it is complicated to make. This beautiful Valentine’s Day postcard only requires the necessary items, fabrics and a few stitches to make an awesome card that will take a person’s breath. Your special someone will instantly know how much you care about them when they receive this layered card from you. Unleash your creativity with this one and let each postcard show your love of sewing and of Valentine’s Day. Go big or go home with this sewing project. If you have the time, patience, determination and tons of crafts, then you can make the ultimate Valentine’s Day sewing craft that will leave your special someone awestruck. The Valentine’s Day mailbox with sewn envelopes combines all the great things associated with this holiday. You can make the decorative card holder for all the cards you want to give to your special someone. Then sew some envelopes for the cards. While the tutorial suggests that you make cards from decorative cardstock, you could easily sew your own cards to make this the ultimate sewing project for this unique holiday. Then give the entire thing to your Valentine. They will definitely appreciate the thought and time you placed into this gift. Don’t forget to make some of these projects with the kids. Your children will love making these crafts that go beyond the simple glue stick and paper projects done in school. 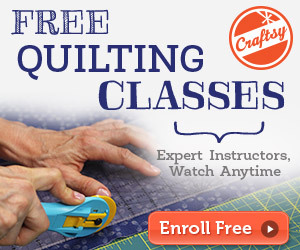 They may even be inspired to become a seamstress. 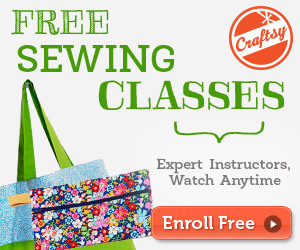 Demystifying Sewing For Kids: Your Questions Answered!